When organic matter is transformed into a humus colloid we can squeeze it between our fingers and the original organic matter is not recognizable - it has become a dark mass. So if you have “compost” in which you can still see some of the original materials it is not yet transformed into the humus you and plants seek. What is needed for the desired transformation is soil life, moisture and warmth. 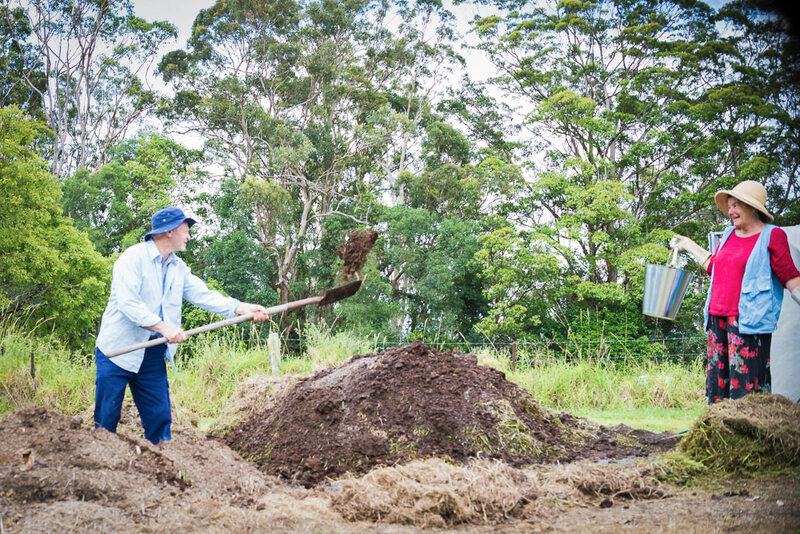 Where-ever there is soil there is the desired soil life to break down organic matter – so add a little soil finely through your compost heap. There needs to be a constant and even moisture content – don’t flood it but keep the heap moist. And although we cannot control the climatic temperature the transformation is quicker in the warmer months. If all the conditions are right and a good balance of manures and plant matter is present transformation can take 4 to 5 months, though in many cases a little longer. Try to use it by putting compost into the soil before it turns to earth completely. I like to put anything I wish to add to the soil into a compost heap and make it part of the humus colloid. Use of the Bio-dynamics preparations can help bring in a balanced influence. 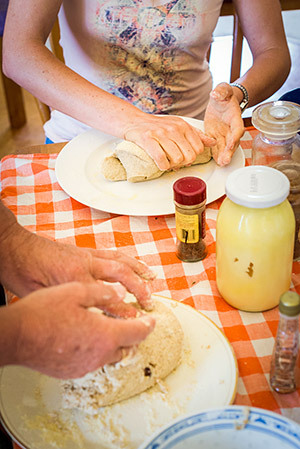 After the composting making Sandra Frain demonstrated her sour dough bread making and spoke about dairy products. Another workshop is planned by a local group so we hope to have more information for any-one interested in the next newsletter.